Should I slow down or abandon my job search during the end-of-year holiday season? Mark: Absolutely not! There is no reason to slow down your search efforts. The worst thing that can happen is that the process may not move as quickly but if you do nothing, then you’ve lost another month or more. 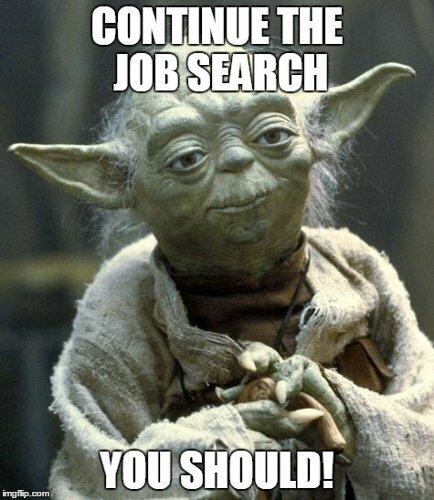 Are there certain advantages to conducting job searches during the holidays? How can job seekers take advantage of these? Mark: There are definitely advantages for end-of-year searches. One of the best ones is that people tend to be in a better mood and are typically less stressed during the holidays. So if you’re able to secure an interview during this timeframe, it could turn out to be a more positive and engaging experience. Another key advantage is that schedules tend to open up a bit more as company meetings and events wind down so there could be more opportunities to secure interviews with the right people. Job seekers can take advantage of this by being flexible and making themselves available for interviews. And if you’re willing to come back for multiple interviews to accommodate the shifting schedules of interviewers, then all the better! Lastly, it tends to be easier to take time off from an existing job and you might have a few of those days left over that you need to use up before the end of the year, anyway. Take advantage of this time to conduct a more thorough search and to go on interviews, if possible. Are there seasonal trends when it comes to talent recruitment, i.e. high peaks or slower times, that I should be aware of? Mark: Companies are always hiring early in the year. By January, budgets have been set and hiring tends to spike as a result. This is also a good reason not to abandon your job search during the holidays because it’s a great time to lay a solid foundation for this busier time of year. Another peak hiring season is during the fall, right after everyone is done with summer vacations. Companies may be looking to bring people on board and get them trained before year end and while they still have budgets to make this happen. And, clearly, summer can be a slower time because so many people are on vacation which can make the interview process quite lengthy. Mark urges job seekers to keep these seasonal factors in mind in order to manage your own expectations as it relates to activity and promptness of feedback. But regardless, these factors should never deter you from searching. If you’re seeking a new career opportunity, doing something is always better than doing nothing! Would you like more tips from Mark and our team of Eliassen Group recruiters? Contact us at solutions@eliassen.com or connect with us on Twitter and/or Facebook.